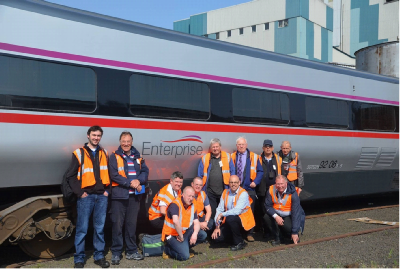 Providing lectures and visits on all aspects of the railway industry. 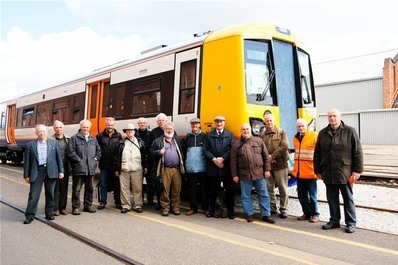 The Locomotive & Carriage arranges lectures and visits covering all aspects of the railway industry. A programme of winter lectures, delivered by eminent speakers in the current railway, railway preservation and railway history organisations are held in London as well as visits to UK and overseas operational and preserved railway installations throughout the year. 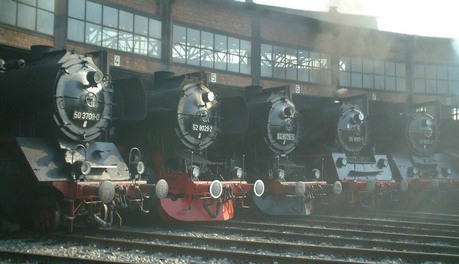 The Institution was founded in 1911 and was then known as the Institution of Locomotive Inspectors and Foreman. Our present title was adopted in 1931. Since then we have continued to provide a knowledge of and interest in all aspects of the railway industry. Whilst based in Britain, we also have members in Austria, Czech Republic, Germany, Switzerland and Ireland. If you are new to us, please browse around this web site to see what we are about, what lectures and trips we have planned, view our archives of previous trips and if all that tempts you, apply for membership online. 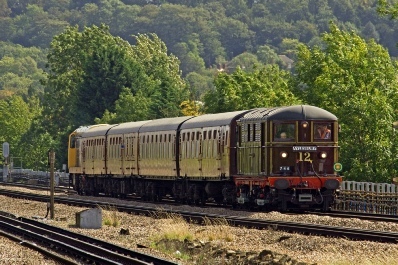 © Please note that the contents of this website, including text, photographs, drawings and artwork are all strictly copyright of the Locomotive & Carriage Institution as well as the respective authors and photographers. Content must not be copied by any means without our consent. This page credits © Naming of 66 716 The Locomotive & Carriage Institution on 14/05/11 by Brian (Percy) Drummond; Steam engines in Dresden Roundhouse during the Dresden Dampflok 18/05/02 by Allan Spencer; Sarah Siddons passing through North Harrow on L&CI railtour 12/09/11 by Stuart Chapman and members in front of new Class 378 at Bombardier, Derby 04/09 by Bombardier; In front of the Enterprise coaches at Belfast York Road Depot 24/04/15 by NIR.